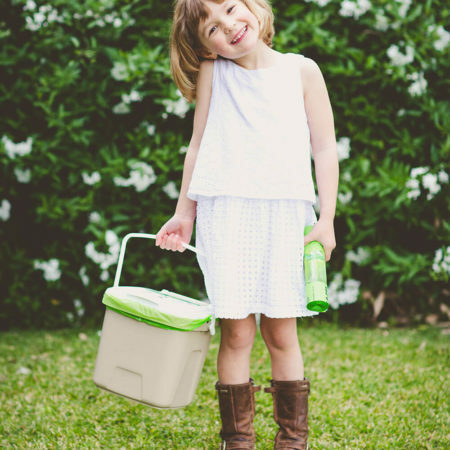 Our popular Compost-A-Pak® 240 Litre Liners in a convenient, shelf ready retail pack! 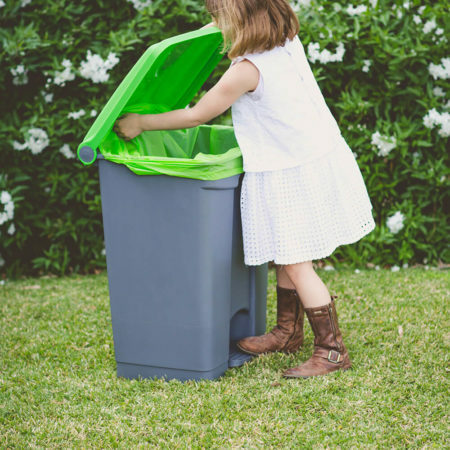 Our immediately identifiable bright green compostable bags look both unique and appealing on store shelves, and the environmental images on the carton, coupled with the clear certification logos, ensure they are easily identifiable as a truly sustainable alternative. 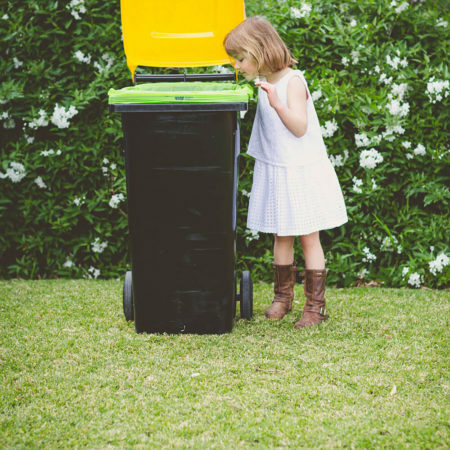 Made predominantly from corn, these durable organic liners are 240 Litres, the perfect size to line a standard council MGB bin to prevent mess and smells. 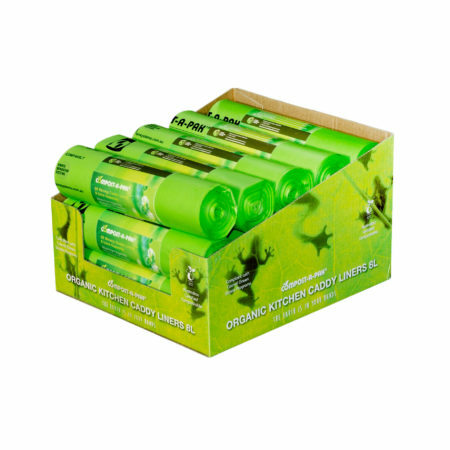 In each outer carton, there are two Shelf Ready Packs each containing 6 individual packs. 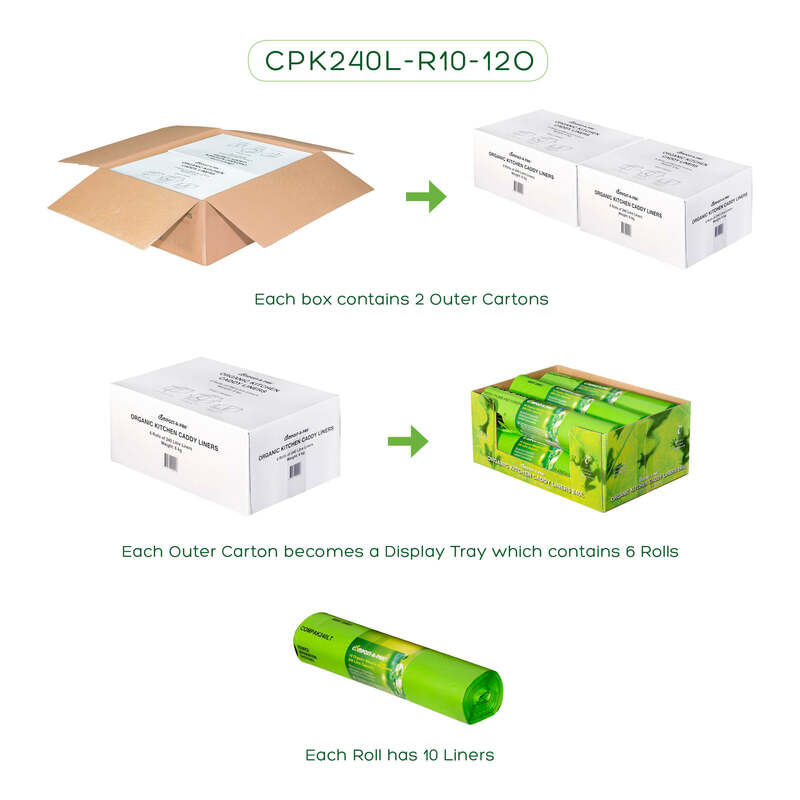 In total there are 12 rolls ready to sell. 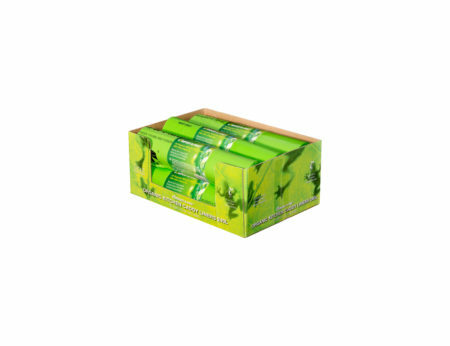 Each roll includes 10 liners. 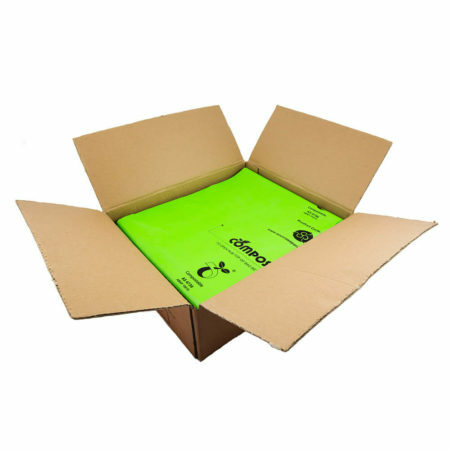 The cartons and marketing bands on the rolls provide environmental graphics and information simplifying our product differentiation. 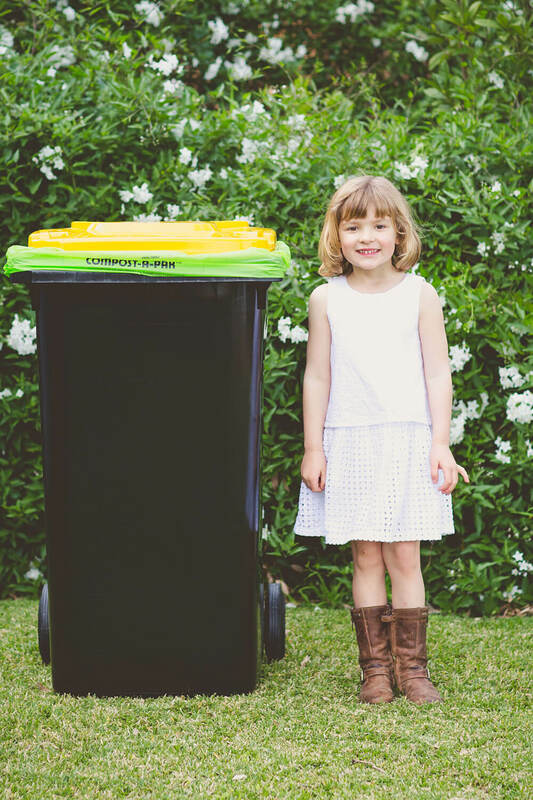 Compost-A-Pak® 240 Litre Liners are plastic free, and Australian Certified compostable for both commercial and home composting. 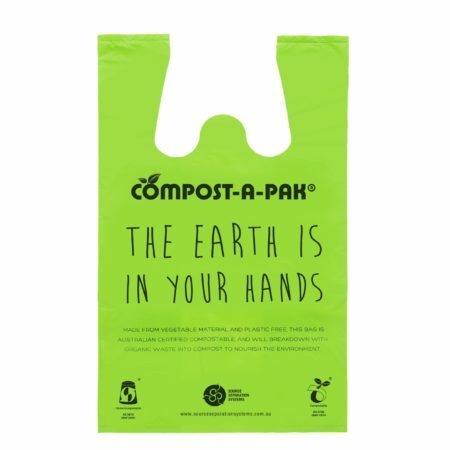 Additional marketing material is available to help promote business’s commitment to sustainable alternatives, and ensure team members are aware of just how unique and environmental these bags are.